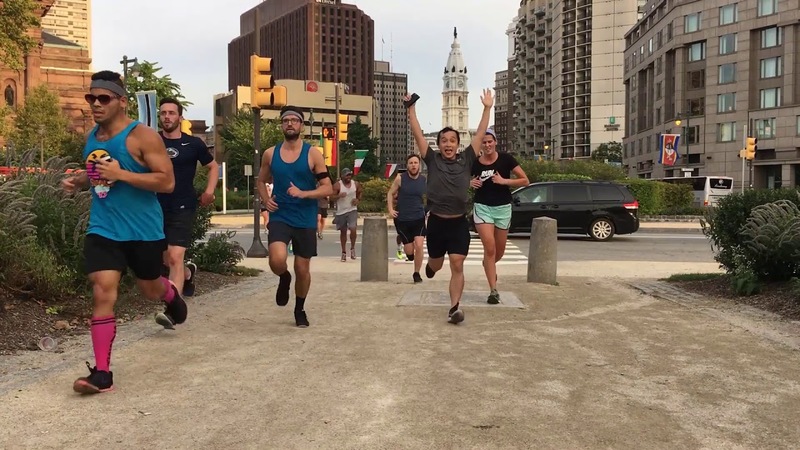 The Unite Philly Run, sponsored by Rothman Institute, brings together all of Philadelphia’s fitness lovers, for a one of a kind fitness scavenger hunt across Philly’s iconic landmarks. Whether you are brand new to exercise or a life-long enthusiast, you can join our fitness mob for a fun, free, cross-training run across the city. This urban course is 3.5 miles (5k) with 4 “surprise” strength stations to complete at iconic locations along the course. These stations break up the running into easily doable chunks and balances out the cardio with the strength training we all need. You won’t know the exercises or the number of reps until you run up to each station, but the fitmob will conquer all together. So grab a friend and let’s go run these streets! Unite’s 2nd mission is to protect our environment and in turn protect ourselves from the impacts we are all experiencing: global warming, pollution, food degradation, etc. The Unite Philly Run aims to combat global warming, pollution, and destruction of our land and ocean ecosystems by bringing awareness on how to reduce your personal carbon/greenhouse gas emissions and then offset it through donations to forestry projects. It is Free to come run with the mob, but we’d love to give you a shirt and gifts for a donation. Get More for Bigger Donation! Unite Fitness is so happy to be offering our trademark cross-training run to add to the plethora of fitness and race options in Philadelphia. As our name suggests we are all about bringing people together that all seek to take good care for themselves and each other in a holistic approach. For Unite that is our Heart.Muscle.Mind philosophy and lifestyle that comes to life in The Unite Workout, which includes Cardio Intervals, Strength Training and Recovery. Rothman Institute is the regions leading Orthopaedic practice treating injuries including knees, hips, hands, feet, shoulders and even heads (concussions). With 33 offices located in the Philadelphia region including central and south jersey, the 170 Orthopaedic physicians treat more than 180,000 new patients each year. Rothman Institute are the team physicians for the Eagles, Phillies, Flyers, Sixers, Villanova, St Joe’s and over 40 local high schools and colleges. vybe develops community care hubs, anchored by urgent care, that provide easy access to quality care in neighborhoods where the cost or wait time of other medical providers may discourage a patient from getting the treatment he or she needs. In the Philadelphia area, the average wait to see a primary care physician for routine care is 37 days. Whether it’s the easy check-in on an iPad, warm and inviting reception areas, or the teamwork and positivity of the staff, vybe wants visitors to feel better – as soon as they walk in. vybe has opened urgent care facilities in South Philadelphia, Port Richmond, Roxborough, Chestnut street in Center City, and in Delaware County in Havertown and Ridley.